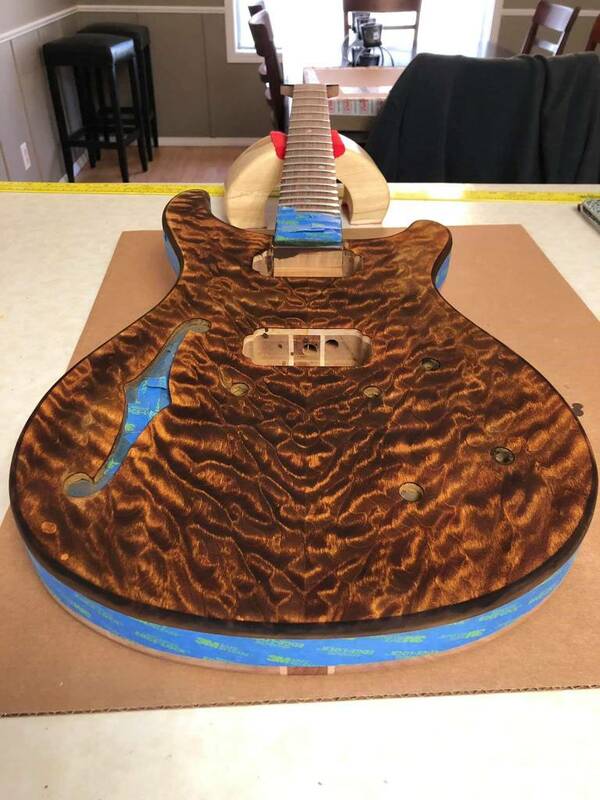 Wanting a PRS is what brought me to kit building. Too damn expensive to buy. Bought a relatively expensive PRS style kit from Alibaba with a 2-3 cm thick flame maple cap. Then I realised that I had none of the skills required to actually build a good guitar. That's how I found Pitbull and the PRS-1H. I now have 6 kits to build. . . and still haven't finished any. I now have 6 kits to build. . . and still haven't finished any. You're really not doing too bad! I've got 3 on the go right now and I had to excersise restraint this morning while I watched an IB-5 count down the last seconds on eBay . Tick..no..tick...no...tick.. MAYBE..tick..NO!tick..
Just saw this build on Facebook. 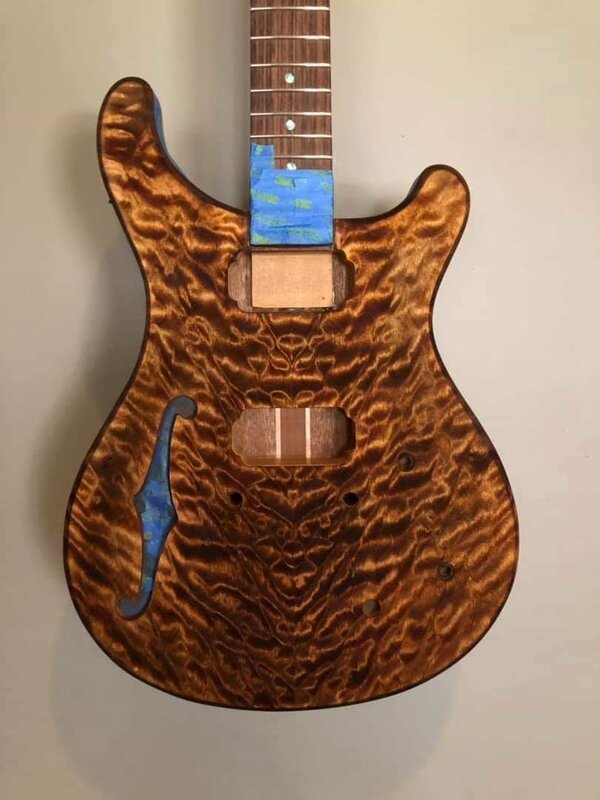 Not quite as carved as a PRS. Any chance of a copy for us folks who shelter ourselves from FB? This is exactly what i'm looking for. I admit would love the cut away in the bottom horn (especially given my lack of woodworking ability / tools) but would settle for this for sure. With a few binding colour options and top options this would be awesome.